Profile not deleted completely. Error - The directory is not empty. This means the profile folder did not get deleted. Most cases just Click Try Again. If you still have issues disable the search service. Or try to find what service or program might be using the files inside the user profile folder. 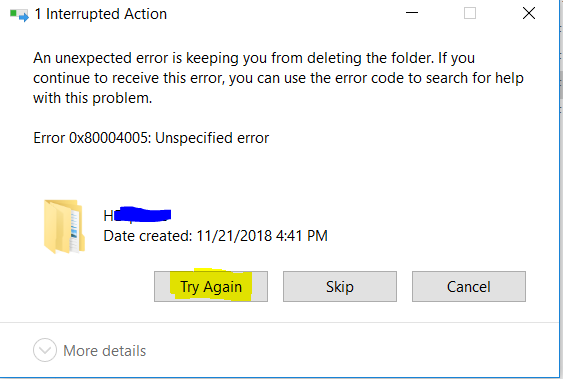 start -> type services.msc -> find Windows Search -> Stop the service -> try to delete the folder again.